THIS DETECTIVE STORY CLUB CLASSIC is introduced by Dr John Curran, who looks at how Anna Katherine Green was a pioneer who inspired a new generation of crime writers, in particular a young woman named Agatha Christie. When the retired merchant Horatio Leavenworth is found shot dead in his mansion library, suspicion falls on his nieces, Mary and Eleanore, who stand to inherit his vast fortune. Their lawyer, Everett Raymond, infatuated with one of the sisters, is determined that the official investigator, detective Ebenezer Gryce, widens the inquiry to less obvious suspects. Anna K. Green (1846-1935) was born in Brooklyn, New York and was often referred to as 'The Mother of Detective Fiction' after the publication of The Leavenworth Case, her first and most successful novel. The daughter of a lawyer, Green attended Ripley Female College in Vermont. 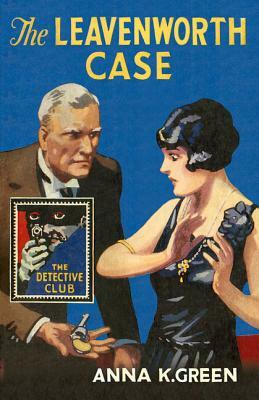 Her work inspired a new generation of crime writers, in particular a young woman called Agatha Christie.